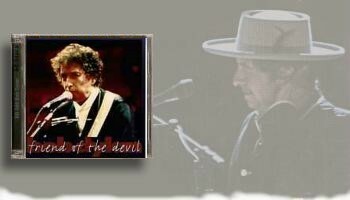 Dylan played 50 songs during this stint, and a nice selection of 22 are presented here in decent but (all too common for Wanted Man) not outstanding quality (perhaps they should leave the compilations to Red Sky). The discs are certainly very listenable, and contain some outstanding performances. However, separation is not a strong point, and the sound does not have the crispness/ clarity that distinguishes most Red Sky releases (actually, for the best compilation of 1992 you should seek out "The Warfield" 2CD set from Flashback). On the plus side, Dylan's vocals shine bright, and the track selections make this a worthwhile and unified set - highlights include a slooooooooooow "It Takes a Lot to Laugh," "Visions" (can't touch the '95 version), "EGOS" "I&I" and "Hard Rain." Remainder: Everything Is Broken, Friend Of The Devil, Watchtower, Red Sky, Just Like A Woman, I Believe In You, Baby Tonight, Hollis Brown, Ramona(sweet), Baby Blue, If Not For You, Idiot Wind, Lenny Bruce, To Be Alone With You, What Good Am I, Hwy 61, and It Ain't Me Babe. Although a compilation, it's put together like a regular show. Lukewarm recommendation.